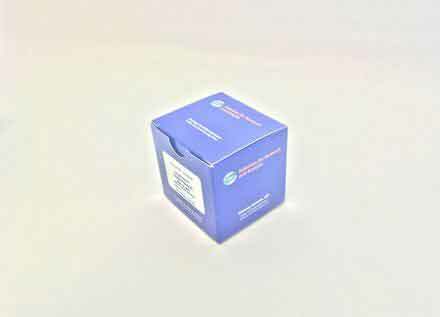 • For quantitative determination of nitric oxide synthase (NOS) activity and screen for NOS inhibitor. • Sensitive and accurate. Detection range 0.25 - 25 U/L in 96-well plate. • Rapid and reliable. Can be completed in 40 min if reduction of NO3- to NO2- is performed at 60°C. • Nitric oxide (NO) is a reactive radical that plays an important role in many key physiological functions. NO, an oxidation product of arginine by nitric oxide synthase (NOS), is involved in host defense and development, activation of regulatory proteins and direct covalent interaction with functional biomolecules. Simple, direct and non-radioactive procedures for measuring NOS are becoming popular in Research and Drug Discovery. BioAssay Systems EnzyChrom™ Nitric Oxide Synthase Assay Kit involves two steps: a NOS reaction step during which NO is produced followed by an NO detection step. Since the NO generated by NOS is rapidly oxidized to nitrite and nitrate, the NO production is measured following reduction of nitrate to nitrite using an improved Griess method. The procedure is simple and the time required for sample pretreatment and assay is reduced to as short as 40 min. 1. Meng, JP (2013). Hydrogen sulfide promotes nitric oxide production in corpus cavernosum by enhancing expression of endothelial nitric oxide synthase. International journal of impotence research 25.3: 86-90. Assay: Nitric Oxide Synthase in Rat Corpus Cavernosum Tissue (Pubmed). 2. Shabir, H et al (2014). Amelioration of lead- and cadmium-induced rat tracheal hypercontraction by linalool and eugenol. Tox. & Environ. Chem. 96(2):307-317 Assay: Nitric Oxide Synthase in Rat tissue (Pubmed). 3. Gehman, MA (2015). The role of BATF2 in LPS/IFN? polarized macrophages. Theses and Dissertations--Microbiology, Immunology, and Molecular Genetics 10: 1-205.